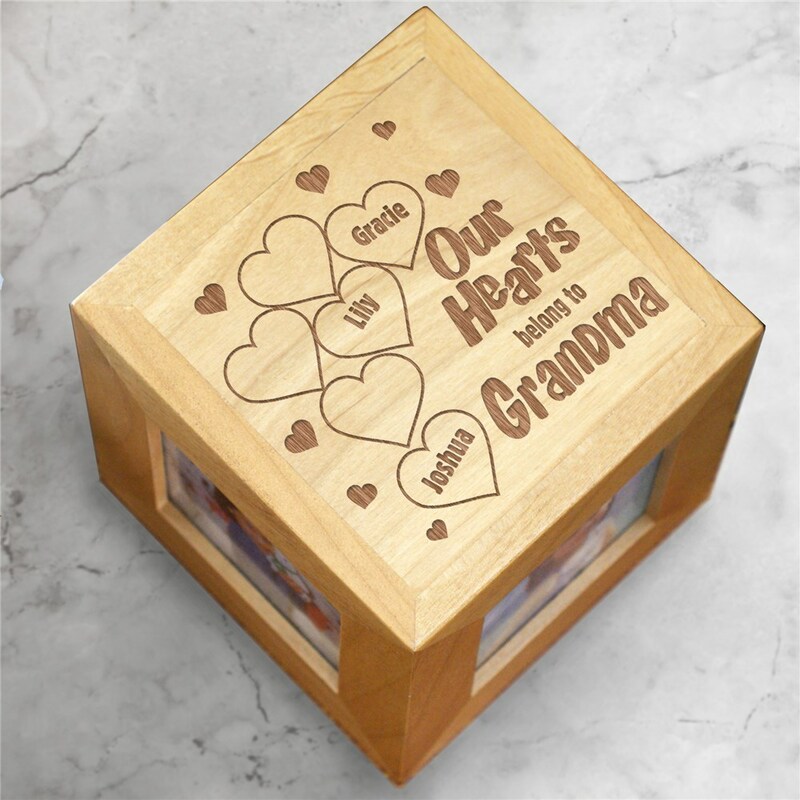 Your grandma is very special, show her with heartfelt memories inside our Personalized Photo Cube. Each precious photo is beautifully framed inside this attractive photo cube making a personalized photo keepsake she will cherish forever. Our beautiful natural wood 4.5" photo cube features 4 separate photo openings measuring 2.5" x 2.5". Includes FREE Personalization! Engrave your Valentine's Day Photo Cube with any title and up to 6 names. Great for her birthday or a Mother's Day gift. Adorable product - good quality and came much quicker than anticipated. Additional Details Personalized Photo Keepsakes make great photo gift ideas as a New Grandma Gift, Valentine's Day, Mother's Day gift, Sweetest Day Gift or Christmas Gift idea. GiftsForYouNow.com is your home for great Custom Valentine's Day Gifts. We have affordable, custom gifts the entire family is sure to enjoy while you love the cheap price.